Often times we are in such a hurry to accomplish our goals and fulfill our dreams. What if I told you that you may not ever reach your goals or fulfill your dreams? Listen, there are goals and dreams that will not come to fruition simply because we are speeding pass the journey. I often say, you must enjoy the journey because on the journey is where you grow. On the journey, you learn lessons for your future. On the journey, your faith is tested. On the journey, your charact...er is being fine tuned. The journey is for figuring out who you are and what you stand for and what you believe in. The journey is for someone else that looks up to you and it’s bigger than you just following your dreams. If you miss it during the journey, you won’t be grateful for the accomplishments. Your dreams won’t be what you thought they were cracked up to be. You would have missed an opportunity of changing you for the better. Enjoy your journey without comparing yours to others. 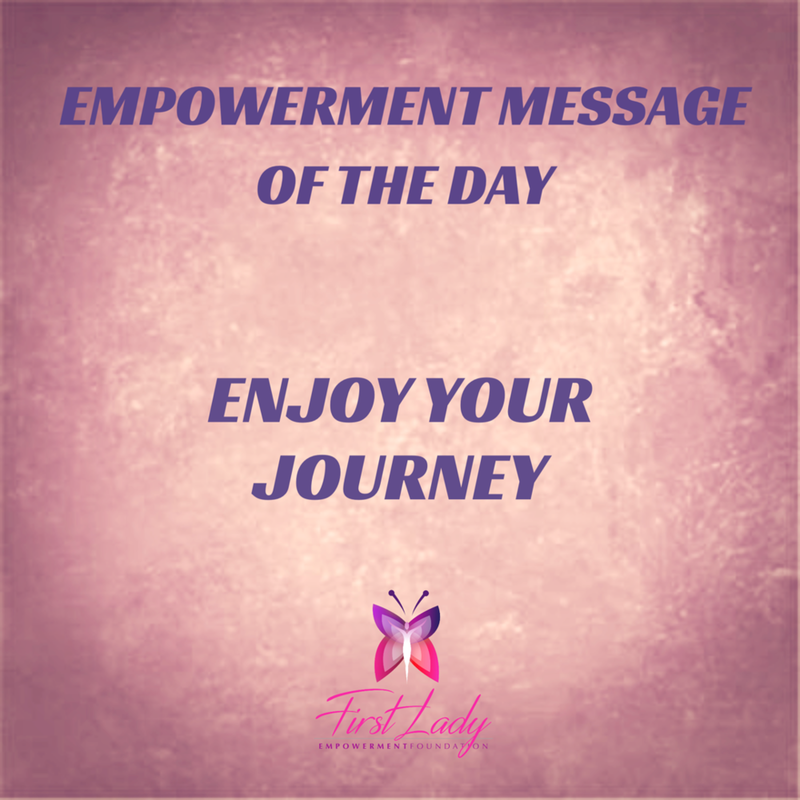 Enjoy your journey without discrediting the small victories along the way. Enjoy your journey without apology. Perhaps the reason you never make it to your dream is because you have not lived in your journey learning the lessons from failures or you have not changed. On your way to your dreams the journey is suppose to build your character for better. If that’s not happening then the dream may not every come. So the question is, if you die before you reach your goals, what has your journey been about?